About Hudson Valley, New York Web Designer & Developer Jeffrey Severson: J.T.S. Design, Inc.
Jeffrey T. Severson, designer and developer, has been professionally involved in the Web Design & Web Development field since 1999 and began learning about the industry several years prior while in college. Throughout his career, he has provided Web services to businesses and industries from New York City to the Greater Hudson Valley area. A graduate of Ulster County Community College with a degree in Computer Information Systems—Microcomputers in Business, Jeff Severson continues to expand his knowledge and expertise with Web-related seminars and courses. 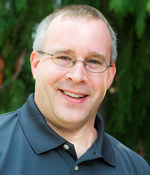 While working as a Web Programmer for an upstate New York Print/Web Design firm, Jeff Severson provided his expertise to companies and organizations that included "The Society of Incentives & Travel Executives", "Promotion Marketing Association", "United Cerebral Palsy of NYC", "Corporate Graphics, Inc." and the "Hudson Valley Garlic Festival". Jeff is a founding member, former 2nd Vice Chair and current 1st Vice Chair of the H.Y.P.E., the Huguenot Young Professionals & Entrepreneurs. He is also a board member for the New Paltz Regional Chamber of Commerce.